Welcome to RSHL′s home on the web! 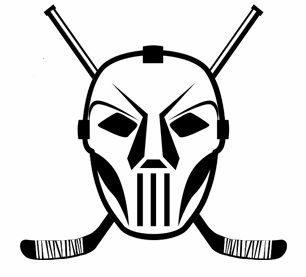 RSHL is using this site to give Street Hockey players or potential players of Raleigh a place to find some times and places to play Street Hockey. To clarify, RSHL plays STREET HOCKEY NOT ROLLER HOCKEY. Also known as Ball Hockey or Dek Hockey, it is played on your feet. Anyone can learn how to play, especially if you know the rules of hockey. We play league games at XL Sports (formerly Dreamsports) at 1016 Investment Blvd, Apex. We also have regular pickup hockey at XL Sports. See the Pickup info below. Please see our frequently asked questions page for more information. Email with any other questions or to sign up. To simply join our pick up email list please see the sign up below. Although the sport is now much more organized, for many, their first experience remains the same as for those who first played street hockey. It simply involved a few friends or family members, an open area, such as a roadway or parking lot near their home, some rocks or bricks to mark the goal posts, a tennis ball, old hockey sticks, and the game was on. Now it is played with skill and enthusiasm as die-hard hockey fans expand their horizons by adding street hockey to their list of favorite sports to play. Street hockey is fast paced and has most of the same rules as ice hockey but without the ice. Thus, people can enhance their hockey skills without having to learn how to skate. Street hockey is one way to enjoy hockey, get in shape, and perfect your skills so that you can join the ranks of those skillful players who play hockey because of their love of the game. We are currently working on the 2019 spring season! We will be starting sometime in February. More details to come! If you are a new player to the leauge and want to play, please contact us! NEW PICKUP DAY AND TIME!! Starting on 9/25 pickups will be on Tuesday nights going forward!! Helmet, shin pads, and gloves required. Bring a white and a black shirt, NO GREY! New Goalies please email, we set up two goalies beforehand. Sign up to the mailing list to get updates.